1. 13th Dimension contributor Scott Tipton, who co-owns Blastoff Comics in North Hollywood, Calif., is holding a monthlong charity drive to help Children’s Hospital Los Angeles. (Click here.) He asked me if I’d like to contribute a column for his site, with the only real outline that it involve comics and childhood. 2. March 30 is ostensibly Batman’s debut date in 1939, according to the Grand Comics Database. 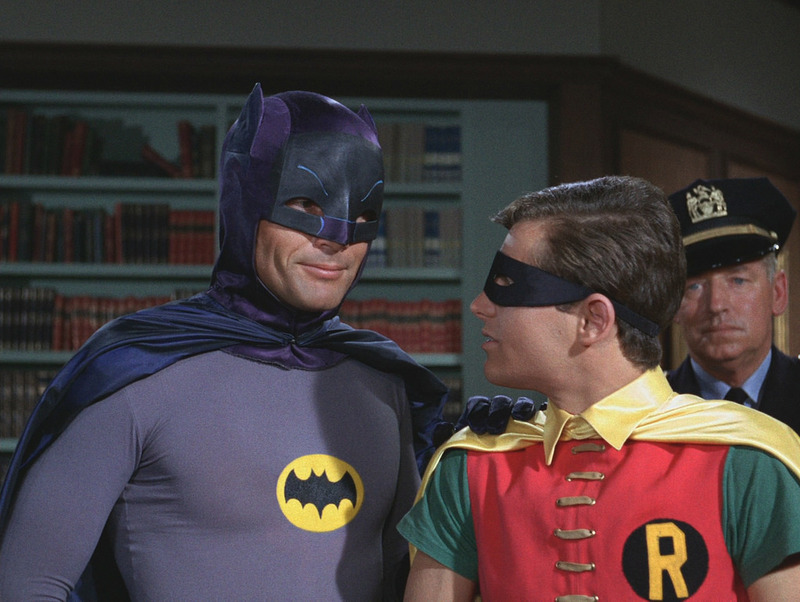 So if I’m going to write about Batman and childhood, that takes me right to Adam West, Neal Adams and Mego. Unlike a lot of the people, I don’t really have a singular “secret origin” as a fan. There was no single day where it began. I actually remember a series of vignettes that have fused in my mind, a loose series of Scenes From a Bat-Life. But those memories are as stark and precise as if they came from yesterday. Adam West was always there. 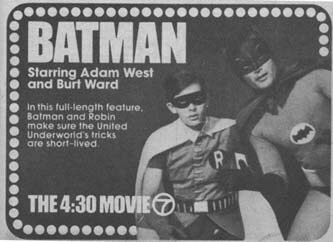 I don’t remember the first time I saw the 1966 Batman TV show. It debuted a little more than a year before I was born and by the time I was of TV-watching age, it was in syndication on Channel 11 in New York. So I just don’t remember a time without it. I also don’t remember a time from childhood when it wasn’t my favorite show. I was as obsessed as any 5-year-old could be, acting out scenes in my bedroom and wearing my cloth Ben Cooper costume everywhere my Mom would let me. All through the ’70s — except for those frustrating times when the show was off the schedule — Batman on Channel 11 was appointment television. The only time I would change the channel was when The 4:30 Movie was on Channel 7 — and they’d be showing the 1966 movie. Then I’d click back and forth and try to give myself commercial-free Batman. So Adam West opened the door. Now, I was an A.M. kindergarten kid at Wayside School in Ocean Township, N.J. My mother worked, so I went to a babysitter’s for the afternoon. Marilyn Tagliaferri had kids of her own, older than me. But her son Phillip was pretty close in age and we used to play Batman in the fields across the street from their house. One morning, Phillip had school but I didn’t for whatever reason and I walked into his room as he was getting ready to leave. I looked to the right and on his dresser were two figures: Batman and Robin, in all their plastic glory. They were called Megos, I soon after learned. But in that very moment, it was as if the heavens opened and — ZAP! — I was hit by some divine light. Everything changed in that instant: These were glorious and I had to have them! Somewhere around this time, I’d begun accumulating comic books. I can’t say collect because mostly I either ended up with them or asked for them whenever I saw them. This being the days before the proliferation of comics shops, I’d get comics at the convenience store, the drug store, a flea market called the Collingwood Auction. One time, my parents’ friends, the Sperlings, gave me a stack of Batmans and Detectives from the ’60s. Their sons, they said, had outgrown them. (I wonder if their sons felt that way, actually.) 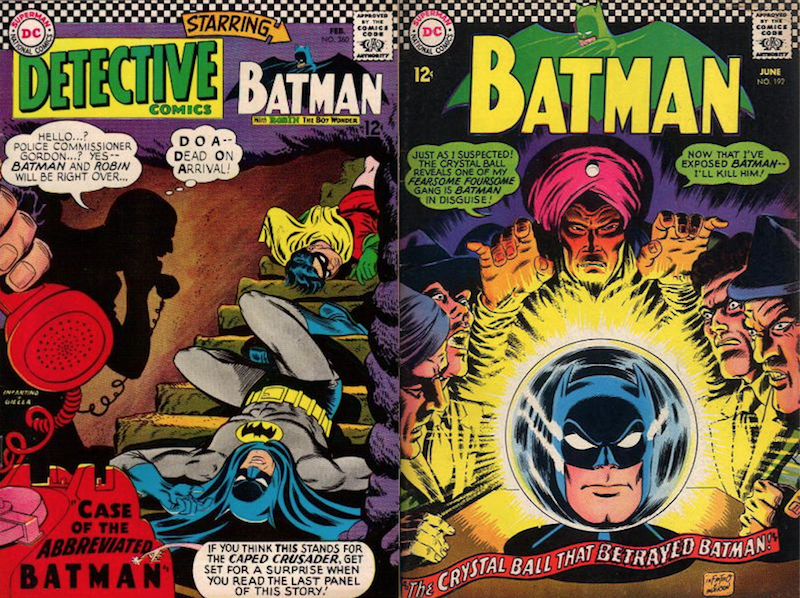 I remember Detective Comics #360 and Batman #192, with their Carmine Infantino covers, among them. But then there was the time when we were at Krauszer’s, a regional chain like 7-Eleven. Over on the spinner rack, I saw this Batman comic that was deeply unsettling. In the center was a terrifying image of the Grim Reaper, swinging his scythe. Robin’s on the ground feebly defending himself while Batman is swooping in to help — but he might not make it. The background was bright red, like a siren warning danger. I was taken aback. Even as a young kid — and I was maybe 4 or 5 at the time — I knew that the Batman on TV was always going to get out of the jam. That was as much fun as him getting into the jam. 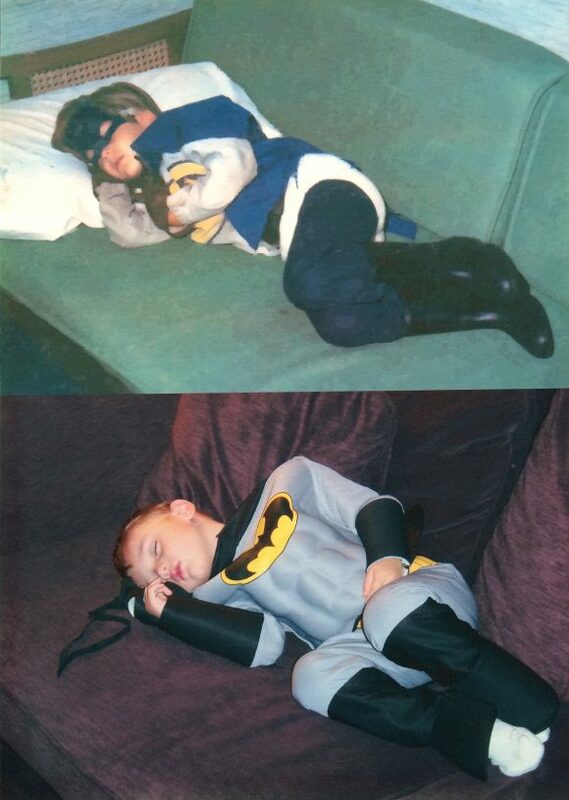 When we played Batman as kids, that was part of the deal: The Caped Crusader always escaped certain doom. This time? I wasn’t so sure. This time? It was scary. 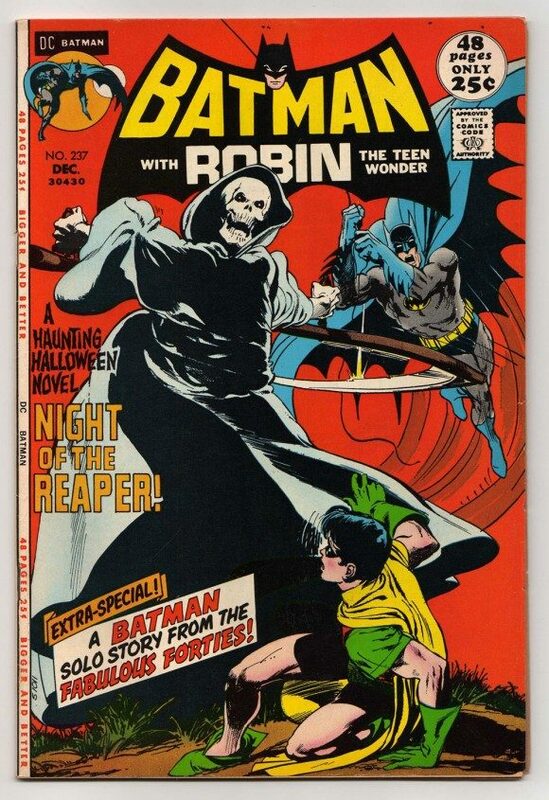 I didn’t know it immediately, but that cover — and the interior art — was the work of Neal Adams. 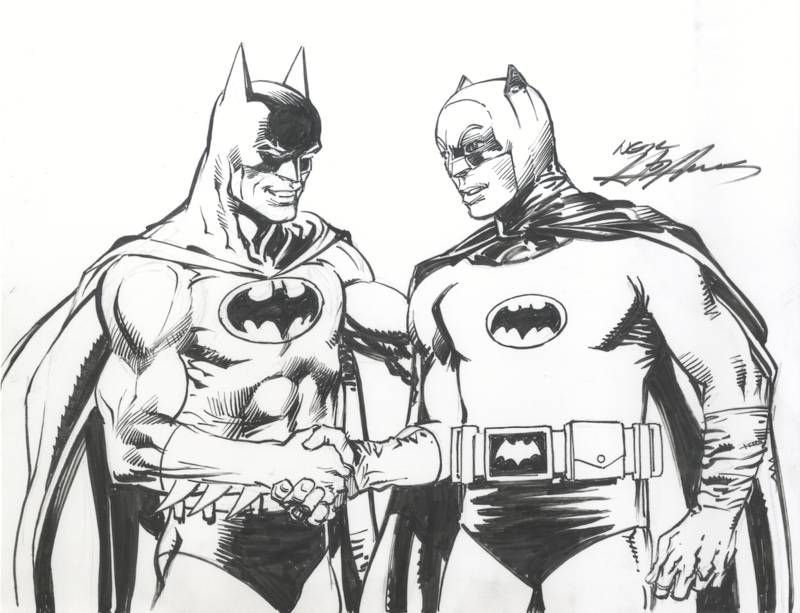 If Adam West made me a Batman fan, and if Megos made me a lover of swag, then Neal Adams made me a comics fan. 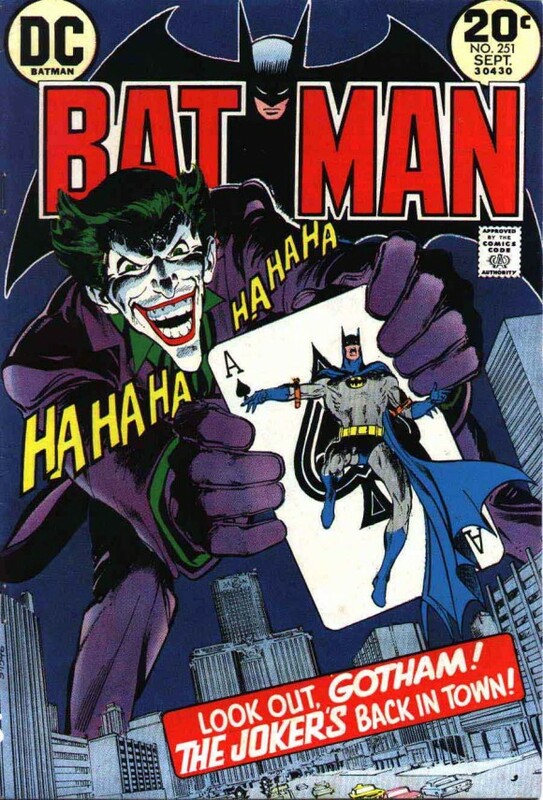 As I got older, collecting Adams issues was a mission within my larger mission of obtaining every Batman comic I could get my hands on. These were horcruxes, mystical pieces that made my collection something special. Getting an Adams back issue was something to celebrate, something that would make you walk a little taller. About 25 years ago or so, I quit comics. I was burned out. Eventually, I sold everything off. This was a roughly 10-year period I call the Great Hiatus. Because eventually, I came back. Obviously. Hell, now I even have my own website where I can write about this stuff to my heart’s content. I never tried to rebuild that original collection as it was. I never wanted to. But I couldn’t live without those parts that gave me the most joy. The parts that spoke to me on a visceral level. I reconstructed — and in many ways improved upon — that original collection. 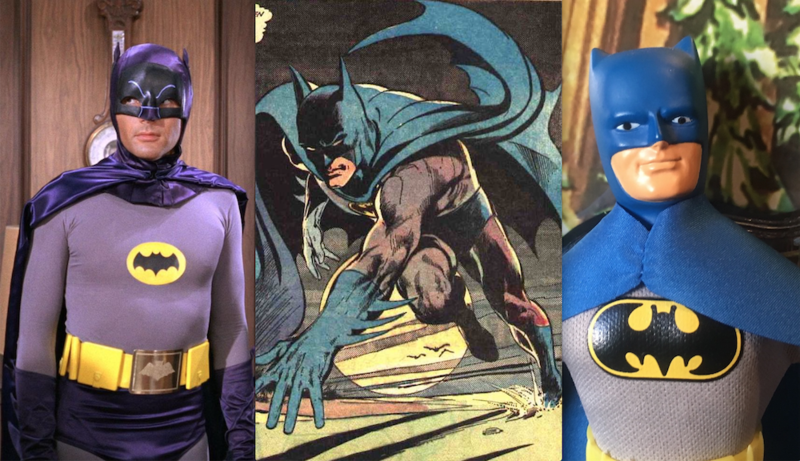 It’s a collection that revolves around Adam West, Neal Adams and Mego. I’m 50 now. But every time I watch that show, or pick up an Adams comic, or look at my Megos, I’m a kid. A happy, contented kid. And that’s what being a fan is all about. That’s me at the age of 6 up top. That’s my son, Sam, when he was 3. No, we didn’t pose him that way. What an outstanding essay! It captures 1960’s-1980’s kids who are now adult collectors preserving the greatest period in history for comics, television, movies, and toys. Very moving story,I am also 50 and have always felt the same way! Thank you for your story. Cool post, man. And cool commission. I dig that. I do remember the magic of the Mego’s too. A neighbor had one with a black cowl and a blue one. I forget which one but you could take one of them off and reveal the face. I so wanted it. Never saw another since though. 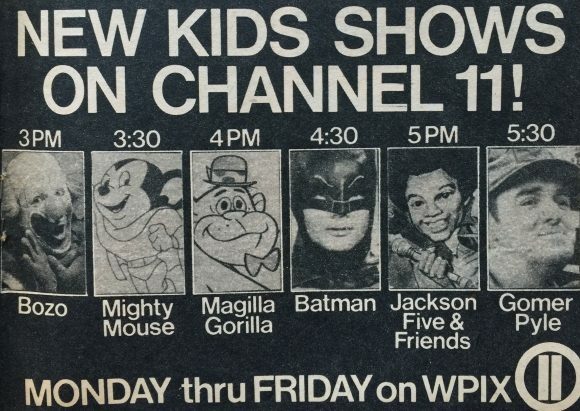 I remember our lineup starting at 3 in the afternoon was Felix the Cat, Popeye, Gilligan’s Island, Batman, Star Trek, Hogans Heroes and Wild Wild West. That’s a killer line up. Nice column. I can relate with you on all of it. i’m 52 now and have been a comic fan for as long as I remember. I Do have a memory of watching george reeves superman sitting in my high chair so I believe that was my first exposure to superheroes. Like you it eas 66 Batman that I could not get enough of. Also like you it was the reruns then trips to the corner store that had the 3 for 50 cents bags of comics with the covers half ripped of. 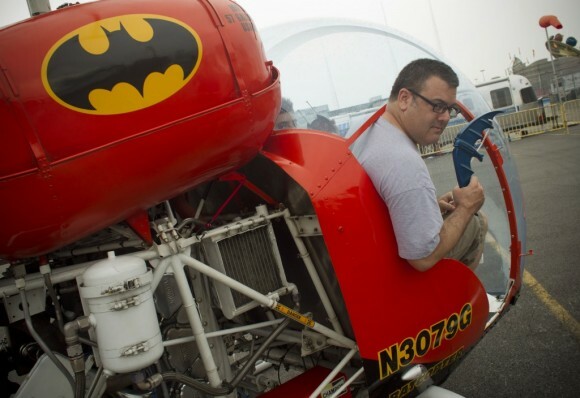 I loved anything comics and anything superman and batman. Every christmas i got another corgi batmobile. One year it was the matchbox size batmobile the next year the larger corgi batmobile but with batman and robin in the seats, the next year the batboat and tow. 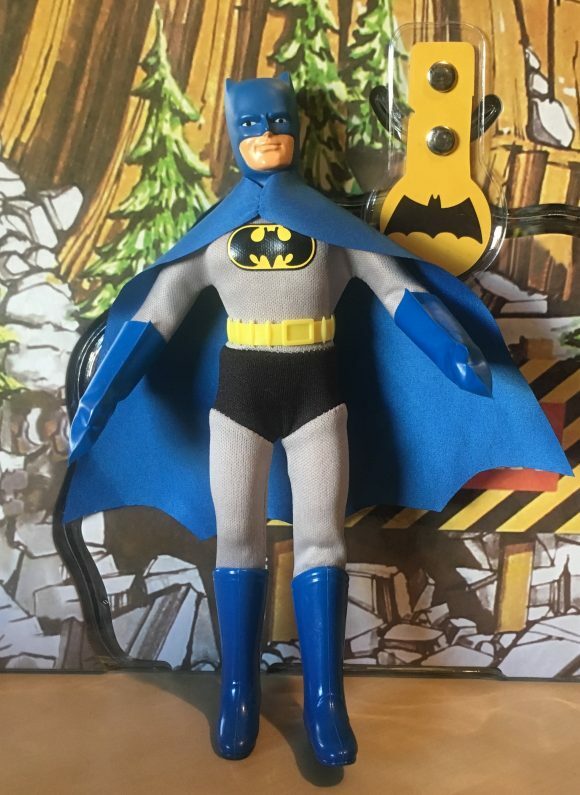 I Also became mego obsessed, i started with batman, the mego wear you could remove his cowl. Like you neal adams. I Have known his name for so long that I am not sure when I first learned it or when i first became aware of that i love his art. I just know that it was his art and style that made me enjoy a comicbook more and I still do! I Like perez and Byrne but Adams is on his own plateau. Like you 30 years ago I also sold off my collection and have regretted it ever since because I didn’t realize by doing that i sold a part of me away. Because no amount of money can replace the joy that each and every issue and story or the art that I admired so much.